Metropolitan WorksÂ – new links with our digital manufacturing centre, based at Commercial Road. 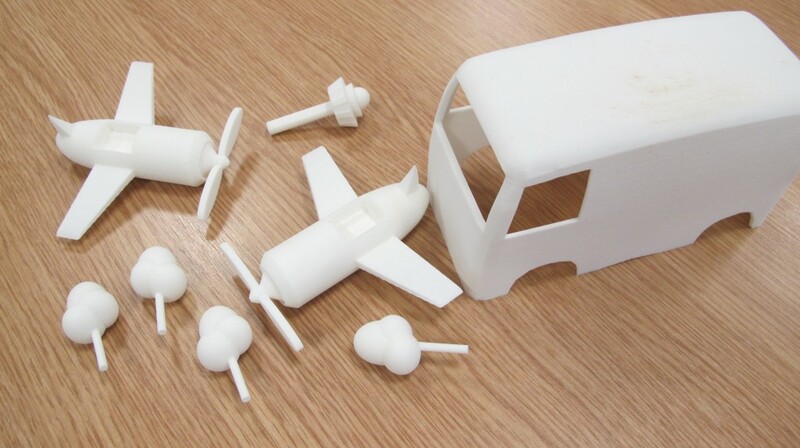 First attempts at 3D printing from second year BSc Computer Games Modelling and Design students working on their Digital Toy Design module – planes and lollipop trees from Mo, van bodywork from Amir. 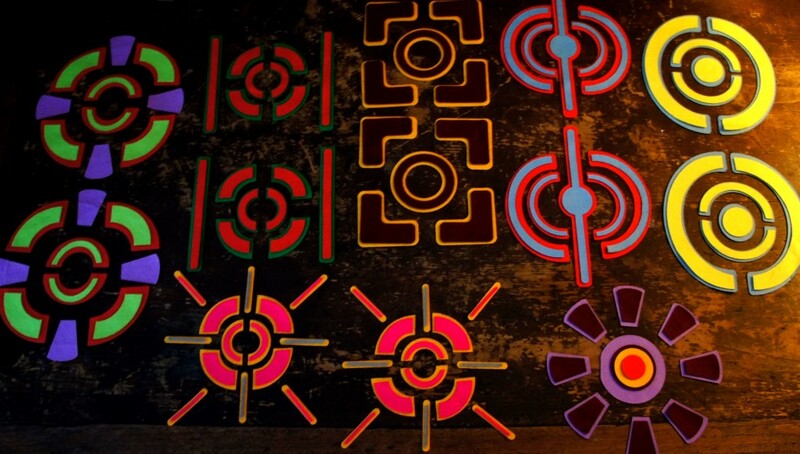 Â Fergus did some laser cutting (below). Â These will all soon be transformed into digital toys.